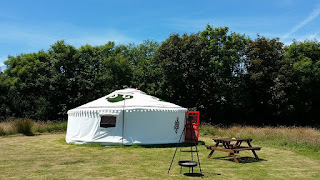 Wych Elm Yurts offers magnificent glamping accommodation in Ponsongath near Coverack. Our campsite in Cornwall is the perfect place to escape to from the hustle and bustle of modern life. We are situated in a tranquil and relaxing setting, ideal for outdoor enthusiasts. There is no light pollution here and on a clear night you can see the stars shining. Our yurts are in two acres of meadow and all the yurts come with a range of excellent facilities. 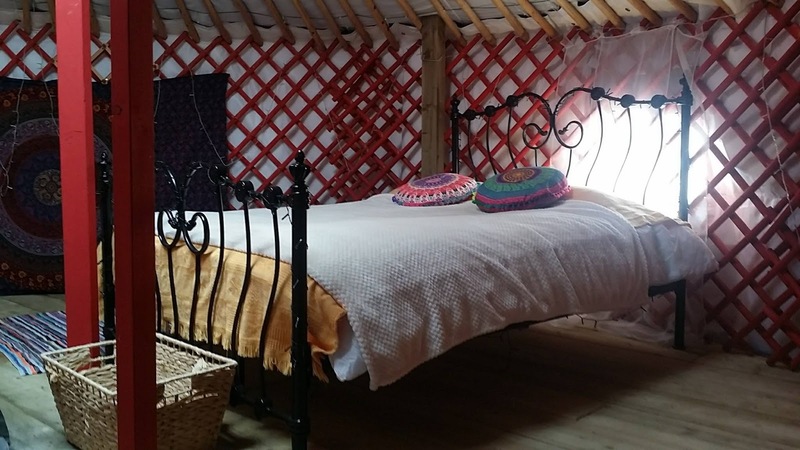 There are 5 spacious yurts which are all beautifully furnished and come with a wood burning stove, a double and a double futon or double sofa bed. Facilities include duvets, floor cushions, a table, shelves, fairy lights, coat hooks, cutlery and stove stop kettle. Outside there is a firepit with a tripod and bench. The perfect place for a spot of al fresco dining. A beautifully restored and converted horsebox houses the showers, toilets and washing up area. It also comes with two enclosed showerpods. We are just a short stroll to the South West Coastal Path that runs from Coverack to Kennack Sands then on to Cadgwith, The Lizard and Kynance Cove.